March 3-4, 2017 – Horsemanship Clinic at Horseshoe Park Equestrian Centre – A fundraiser for Dr. W Lee (Doc) Chatham of Queen Creek, for his trip to Africa in conjunction with the AZvMA Hands –On Veterinary Safari , May 20-28, 2017. 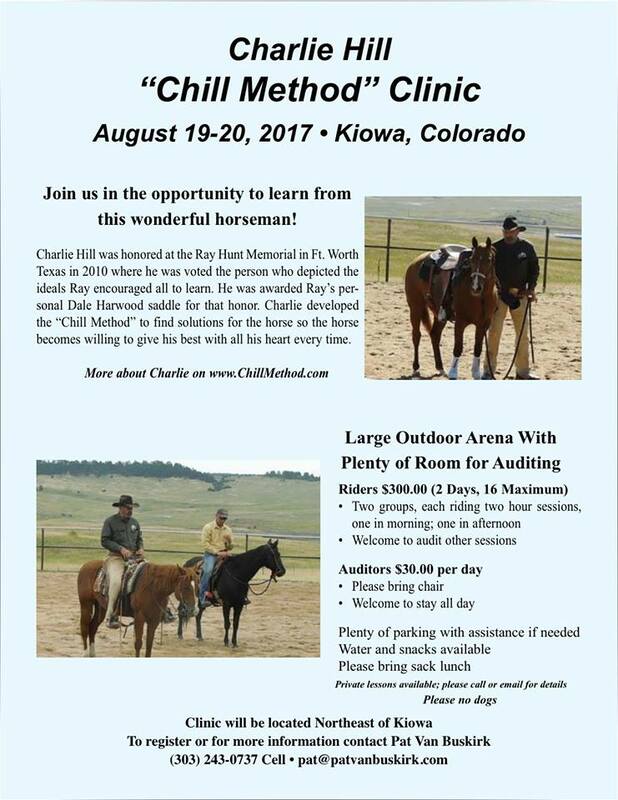 Unlimited number of horses and riders welcome with all of the proceeds to solely benefit Dr. Chatham. Charlie Hill and Brian Bausch instructing. Cancelled –January 14-15, 2017 – Horsemanship Clinic – This clinic will focus on both ground work and what I will call “riding from the ground.” I will relate to the things we do from the ground to the things we do from their back, and we will also spend time riding and working on better communication.